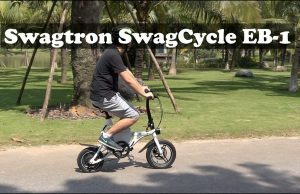 Dahon IOS S9 Folding Bike Review - Who Will Buy the Bigger Bike? 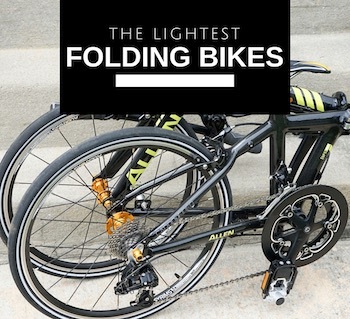 Dahon IOS S9 Folding Bike Review – Who Will Buy the Bigger Bike? Many people gave up the idea of using a folding bike because it might look awkward for very tall and heavy riders. 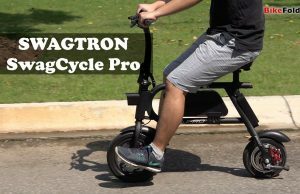 If you are in the same situation, Dahon actually has some bigger folding bikes for you and the Dahon IOS S9 is one of them. The Dahon IOS S9 and the newer Dahon IOS D9 have almost the same design and materials. Many people thought that the bigger wheels will make the bike cumbersome to carry around. 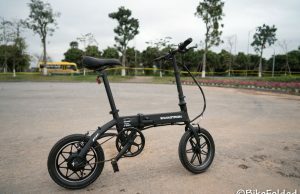 However, Dahon managed to make the IOS bike quite lightweight and compact. The Flatpak technology allows us to fold down the handlebar to have a narrow shape (approximately 7 inches wide) or you can fold it fully for more compact size. The bike weighs just over 28 lbs which is amazing because it is lighter than many smaller folders. Notably, it still can perfectly inside my car trunk. The bigger wheels obviously have some advantages in riding experience. I can stay on the IOS bike for an hour without feeling any discomfort. The bike performs better when I ride a long distance without stopping. This is not a fast bike but you will really appreciate the comfort it delivers, you won’t be able to hear loud noises when dealing with bumps or potholes. Besides, this is also my first folding bike equipped with disc brakes and I’m pretty amazed at how responsive they are. However, you might need some tune-up before riding the bike. My bike arrived assembled but the disc brakes were misaligned. 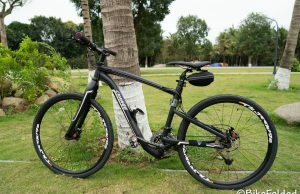 Dahon also recommends to go for a tune-up at a professional shop. 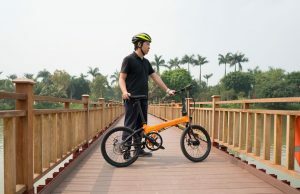 This Dahon IOS S9 is a combination of the compact size of a folding bike and the high performance of full-size bikes. We recommend the bike. 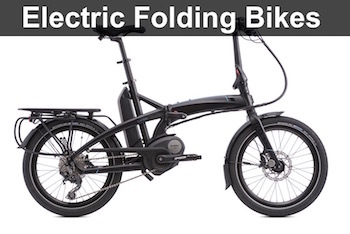 A high-quality folding bike with bigger wheels.